The good news about walking and hiking in Umbria is that even if you get lost, you are bound to have such breathtakingly beautiful scenery to distract you that it won’t matter that much. Who cares about the map when you are looking at this? 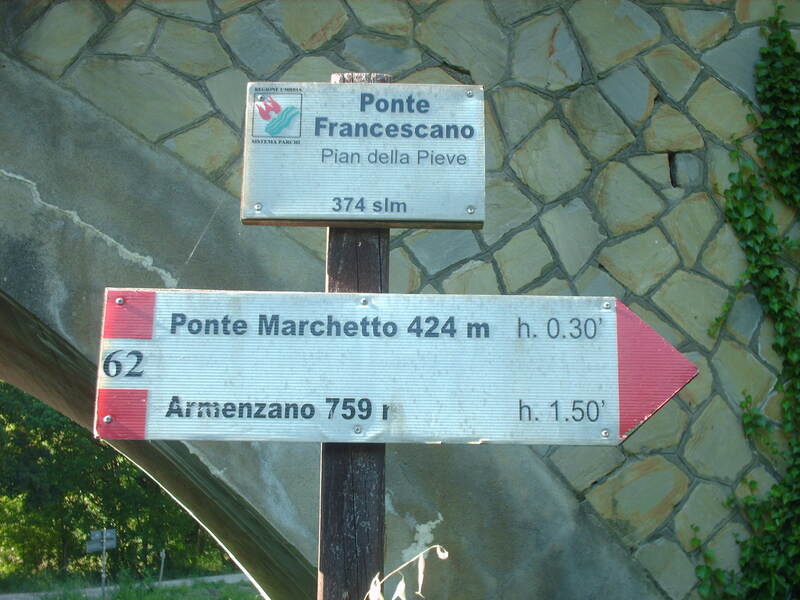 The bad news about walking and hiking in Umbria is that it is damned easy to get lost. 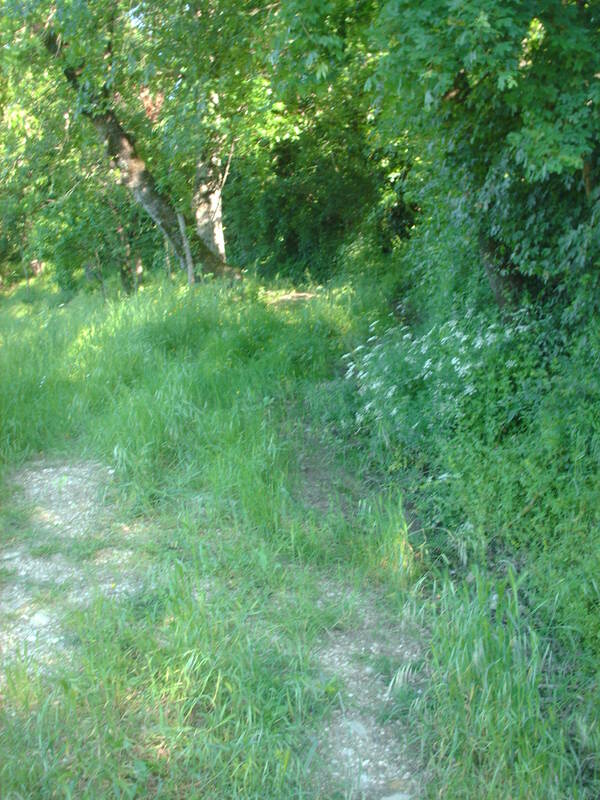 Umbria is a fabulous area to explore by foot, yet at the same time can sometimes be not that hiker-friendly. The region has been late to the game in organizing well marked-trails and accessible information regarding itineraries and routes, which is a shame since the undulating landscape, tiny stone hilltop hamlets, and abandoned country churches and fortresses lend themselves to some remarkable hikes. Here is some general logistical information for walkers interested in discovering this captivating region. For specific hikes, please refer back to the Walking and Hiking in Umbria blog category, where I will be reproducing some itineraries and adding some of my own. The offerings in English for printed guides discussing itineraries in Umbria are disappointing. 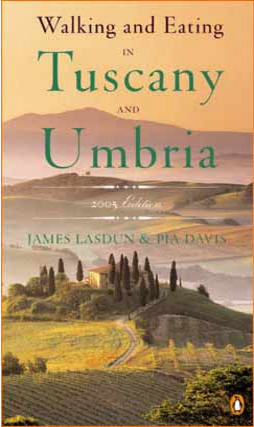 Probably the best to date is Walking and Eating in Tuscany and Umbria by Lasdun and Davis, which has 26 walks in Tuscany and…um…a whopping 3 in Umbria. That said, the three they do list for Umbria are all pretty walks with clear information and recommendations for local restaurants. A second choice is Sunflower Book’s Umbria and the Marche (Landscapes) by Georg Henke. With its 8 driving itineraries, 37 walks, and two regions, this guide is kind of all over the place. It does, however, focus on the Valnerina and Monti Sibillini–two of the most breathtaking areas in Umbria if not all of Italy– and contains large-scale (1:50,000) topo walking maps and transport timetables for all the walks. Sunflower offers a free on-line update service. Sunflower Books took a stab at it…but why can no one manage to publish a mono-regional guide?!? 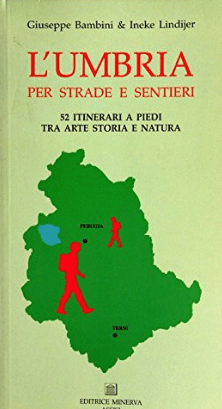 There is also a more local–though exhaustive–printed guide which follows a medieval trail through the olive groves between Spoleto and Assisi with English text, maps, and photos: The Olive Grove Path (Il Sentiero degli Ulivi) by Enzo Cori and Fabrizio Cicio. Alternatively, I can’t speak highly enough of Bill Thayer’s Website. Bill has walked about 2,000 km all over Umbria during his numerous travels here, and has documented his walks with diary entries and photos. In my opinion, there is no better resource for walking in Umbria than his juggernaut of a website. 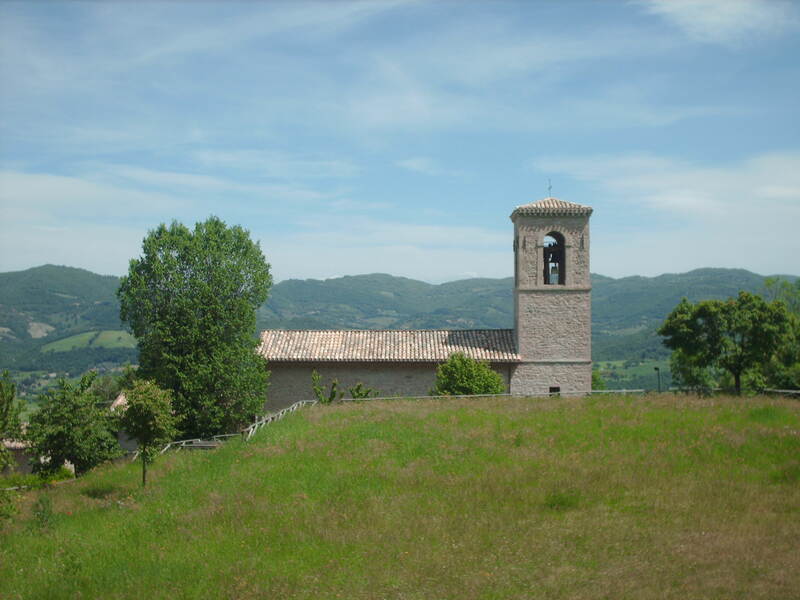 A Piedi in Umbria by Stefano Ardito has over 100 itineraries and covers the region well. Unfortunately, the guide is very text-heavy with few maps and no photos, so your Italian has to be pretty good to get any use out of it. Lots of info, but hard to follow if your Italian isn’t up to snuff. 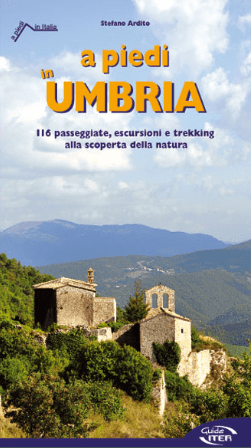 L’Umbria per Strade e Sentieri by Giuseppe Bambini, on the other hand, is chock full of maps, photos, and easily decipherable bullet lists for each walk–even if your Italian is shaky it’s a great resource. 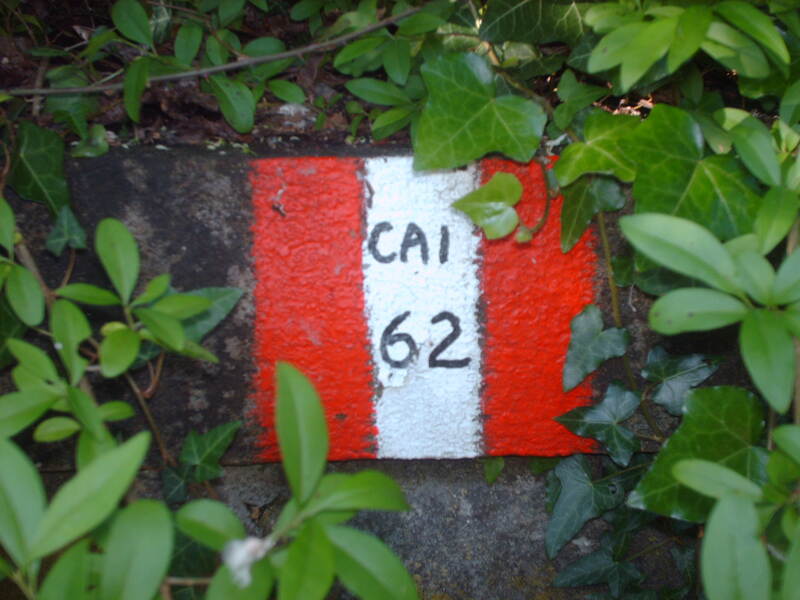 The routes described are largely loops, so you can drive to your starting point, follow the walk, and end up back at your car. If this sounds too good to be true, it is. The guide was printed by a small local press, Editrice Minerva Assisi, and is almost impossible to find outside of the Zubboli bookshop in the main piazza in Assisi. 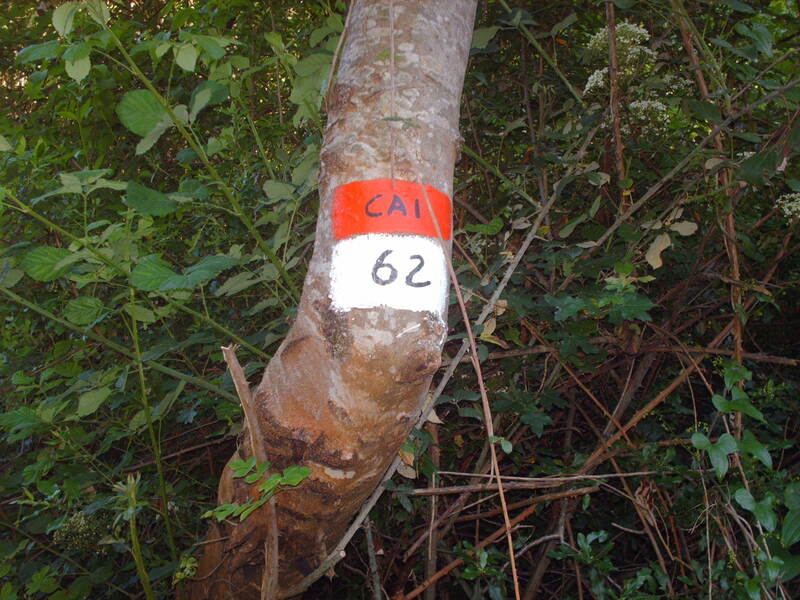 Trail markings in Umbria are maintained by a sketchily organized conglomerate of volunteer groups, like the Italian Alpine Club, and local government agencies so tend to be spotty, at best. A good map is essential. The two series of trail maps I like best are the Kompass maps (1:50,000 scale) and the C.A.I or Club Alpino Italiano maps (1:25,000 scale), which show trails, unpaved and paved roads. Both of these are readily available at bookstores or larger souvenir shops which carry guidebooks in Italy. 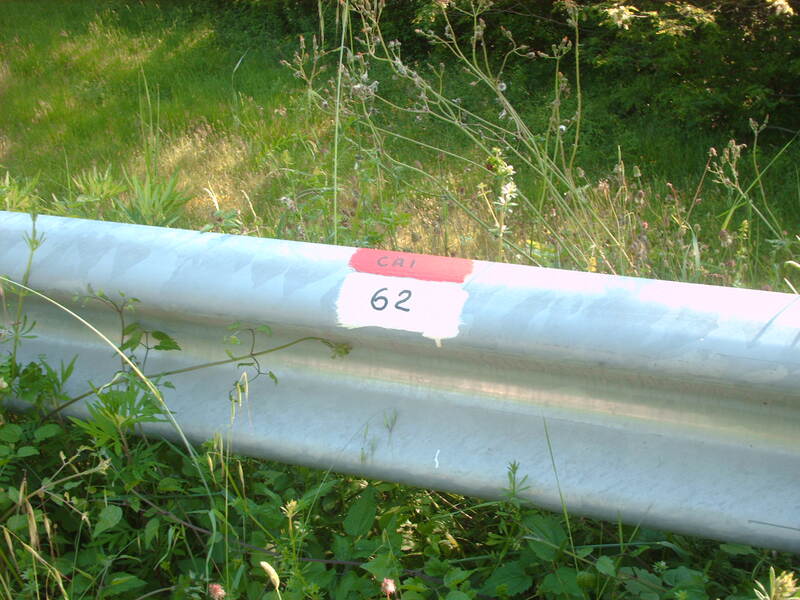 So, generally, two red stripes with a white stripe in the middle and the trail number. Painted on anything. Three quick cautionary words before you head off. 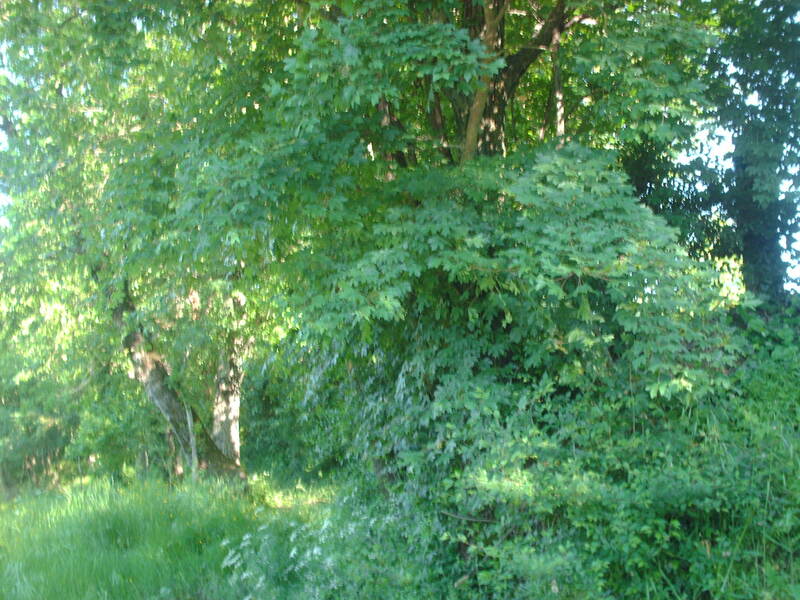 Hunting is a popular and widely practiced sport in Umbria, so be aware when hiking in hunting season (September through January) and outside of the regional and national parks, where hunting is prohibited. Umbria is also home to quite a few sheep, and their guard dogs can be aggressive while on the clock–give them a wide berth. Finally, be careful walking through high grass or climbing loose rocks…there are vipers in the area which generally flee at the sound of approaching humans but are not too pleased to be accidentally tread upon. 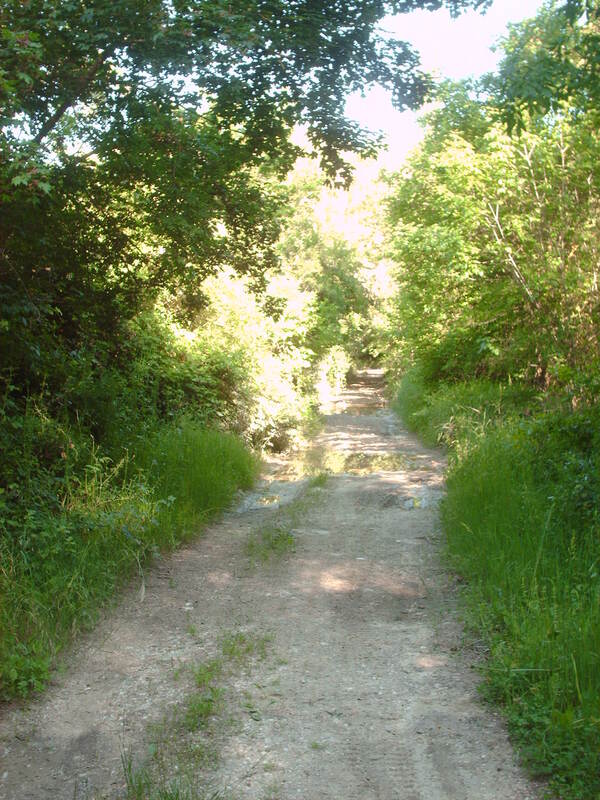 Would you recommend trail running in Umbria? That really depends on the trail, George. 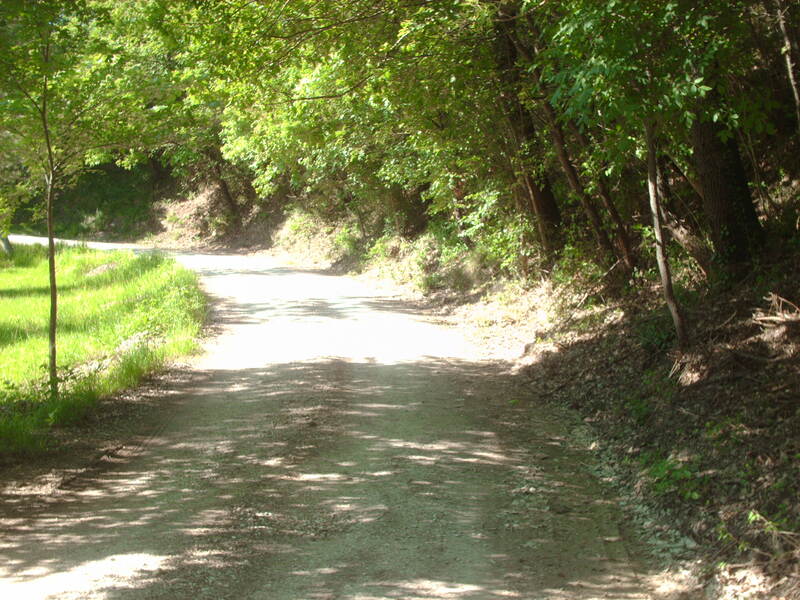 Some are nice even dirt or gravel surfaces, some are more rocky and tricky to run on. The nice thing about Umbria is that there are so many country roads that have little traffic, wonderful views, and safe surfaces. We’re planning to conduct a one week “Get Fit in Italy” tour for folks over age 50 who want to begin a program. Target market is those who might have thought they missed the boat completely! We’re going to get them walking!!!!!! 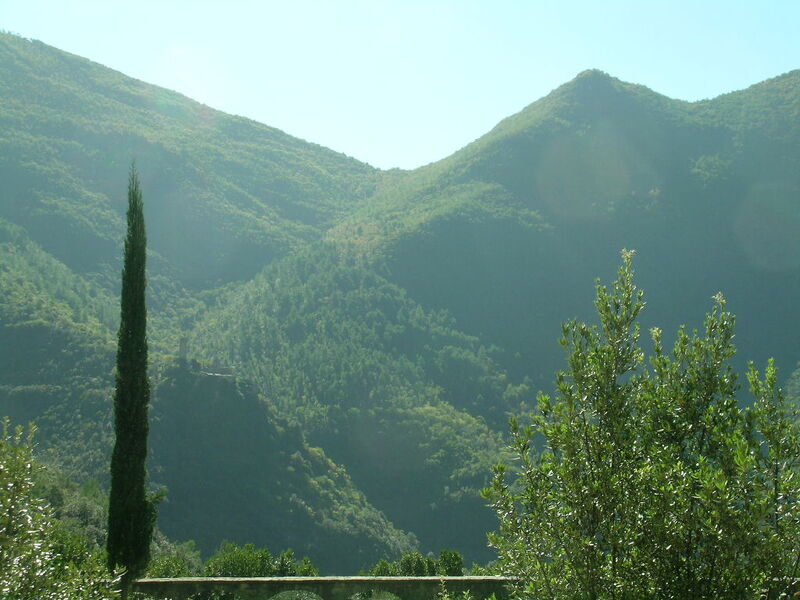 What a perfect incentive – beautiful Umbria, healthy body and mind. I am an over-60, certified personal trainer from the U.S. and my specialty is senior fitness. We’re planning to be in Umbria again in November to start putting this together and will be meeting with several Umbrians who are excited about the prospect of perhaps starting a new product line. Any interest in helpin us out? You bet, I would love to give you any information you may need when you are here in November. This is a very useful page Rebecca! and therefore now lunk on two of the more logical pages of my own. (Flattering comment about my juggernaut prolly didn’t do any harm, either.) Hope you are well — and sincerely hope also that the person who took that beautiful photo of SS. Severo e Martiro that heads off your page isn’t lost: they’re standing on the ramparts of Orvieto…. Bill! I was THRILLED to see you stopped by, and thanks so much for the note! I send people to your juggernaut of a site all the time; just a couple of days ago posted it on the forum at ST for folks asking about Roman sites to visit in Umbria. So happy to hear from you, a big bacio! More mnemonically now: http://tinyurl.com/UmbriaRomana — I’ve got no imagination, do I. Alas, no Umbria for me for a year, but I’m trying to swing next fall (2011); i quattrini! I’ll letcha know, of course. Hi Catherine! You may want to contact http://www.giralumbria.org/ and see if they have any walks you can hook up with…. Hi – My wife and I are scheduled for a trip to Tuscany+Umbria in March ’15. hiking and our ability to ‘navigate’ the rocks and trails. do not want to be a ‘statistic’.